Welcome to The Undiluted, Roman Catholic Faith. The Catholic doctrine known as The Fewness of The Saved has been deliberately hidden from the laity for more than half a century. Priests and prelates all know about this terrible truth, but even among those that embrace it, very few have the courage to preach it from the pulpit. If you’re under 60, it’s almost a certainty that the majority of the homilies you’ve heard during your lifetime dealt with God’s loving mercy – but never God’s frightening justice. This generation has been repeatedly told the lie that ‘everyone who isn’t a hardened evildoer goes straight to Heaven when they die.’ Nowhere is this falsehood spread more liberally than at funeral masses. According to the priest wearing white vestments, your friend, cousin, or parent is “already enjoying eternal bliss in Heaven” (regardless of how they lived their life). Right? You’re not going to want to hear this, but…your uncle Frank – who hadn’t voluntarily attended mass in 20 years, was twice divorced, and made his last confession at 14 – then suddenly dropped dead of a heart attack at 57, is almost certainly among the damned – despite what your parish priest told you. In fact, Frank’s only hope of being saved - by being sent to the lowest spot in Purgatory till the end of time - is if he had a life-long devotion to our Blessed Mother Mary. You on the other hand still have time to amend your life. Years of research on the topics of Hell and eternal damnation have gone into collecting and synthesizing poignant quotes from saints, doctors of The Church, apostles, our Blessed Mother Mary, and Our Lord, himself. Click on prayer cards with a red border and you’ll get a good sense of the Fewness of The Saved doctrine. Yet, most Catholics and Christians have never heard or seen any of these sobering quotes. However, that’s not due to an innocent omission on the part of the Church’s hierarchy – it’s been quite deliberate. By, instead, preaching the Gospel of Congeniality to the laity, collection baskets have remained full for decades. Tragically, however, millions of souls have been damned to eternal Hell during that same period; largely because of priests’ cowardice in not wanting to scare the faithful, and subsequently risk incurring their bishop’s wrath for jeopardizing the finances of the diocese. To be clear: This site isn’t about scaring the laity into a state of paralysis. It’s about helping the faithful to understand the very real danger of falling into eternal Hell after death, and teaching them specific prayers and daily actions that can save their souls (click on the prayer cards with a blue border). A word about our logo. Just as stained-glass images taught the Catholic Faith to children and the illiterate for centuries, our logo was purposely designed to teach anyone about the Four last things - Death, Judgment, Hell, and Heaven - using common symbols and colors. The word finis is Latin for the English word END – which, for us, is when our soul leaves our body and stands before God’s Divine Judgment Seat. And the black octagon denotes the completion of life on earth. 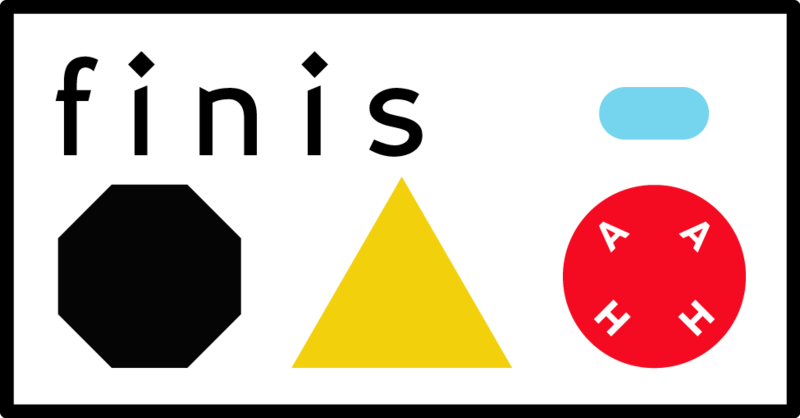 The yellow triangle represents man’s particular judgment by the Blessed Trinity - in particular, Jesus Christ. The (relatively) small blue oval represents Heaven, and how few there are who ever get there. The large red circle symbolizes Hell and its eternal fire: The letters within the circle symbolize that all who enter Hell must Abandon All Hope Here. May Almighty God Have Mercy on Us All! Loaded 0 out of total cards. See all quotes, save what you'd like!